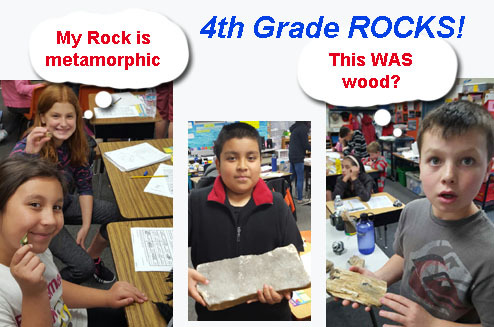 As part of our ongoing effort to raise community awareness of local geology and lapidary work, SRMGS makes an honest effort to accomodate all community requests to assist in this goal. (707) 755-1322 and leave a message. 2 months notice is recommended. and chat with our members! 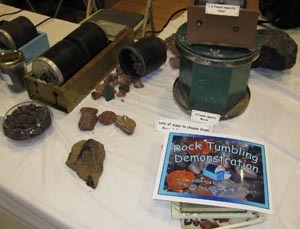 January - Gem Faire at Santa Rosa Fairgrounds - Display & local rockhound information. April - Earth Day Celebration in Quarryhill - Displays & local Rockhound Information, Gem Faire at Santa Rosa Fairgrounds - Displays & Local rockhound information. Aug - Elegant Flea on the Green in Windsor - Exhibits, local minerals, rockhound information, wire wrapping demonstration, kids activities. October -Annual Gem & Mineral Show at the Santa Rosa Veterans Memorial Hall in Santa Rosa - over 40 years of vendors, exhibits & demonstrations. Nov - Geology Lessons at Santa Rosa Montessori School - Volcanos and Igneous Rocks.